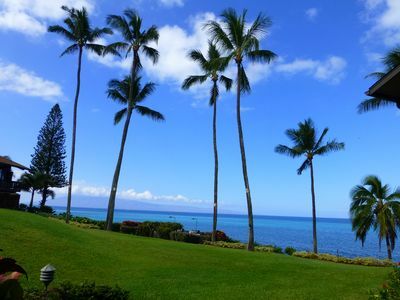 Beautiful and relaxing Napili Shores Resort rests on the leeward side of West Maui at the south end of Napili Bay. 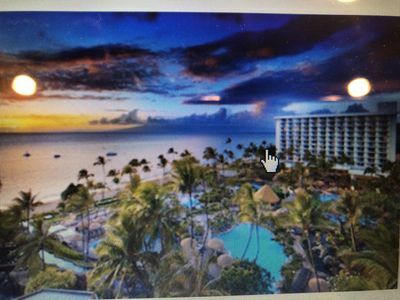 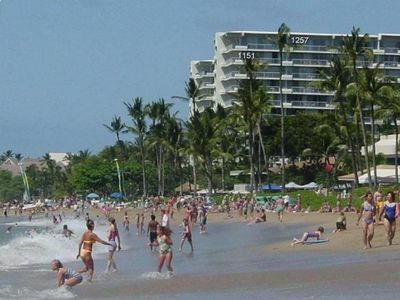 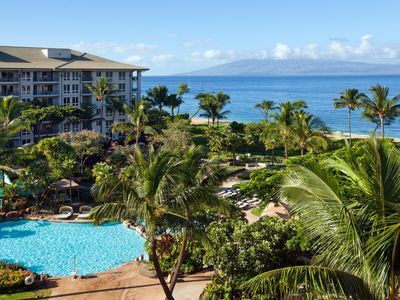 Because the resort is a small community of low-rise two-story buildings, it provides a cozy, family atmosphere with hints of old Hawaii in its lush, tropical landscaped gardens that stretch over the 6 acre resort to the oceanfront. 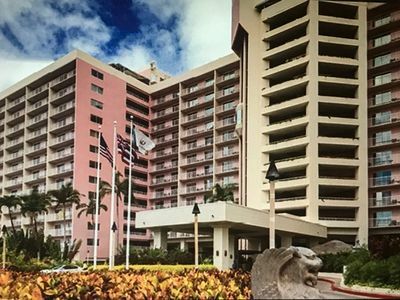 There’s ample parking for resort residents and a reception desk (open 8am to 10pm) that can also assist you in making activity/tour reservations. 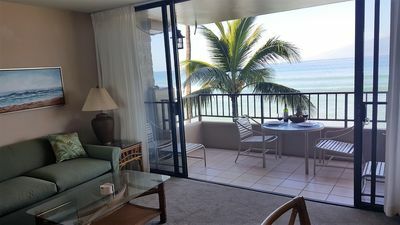 With a splendid view of the beckoning Pacific Ocean and the remote island of Molokai, this fully-furnished oceanfront studio makes the perfect private vacation home. 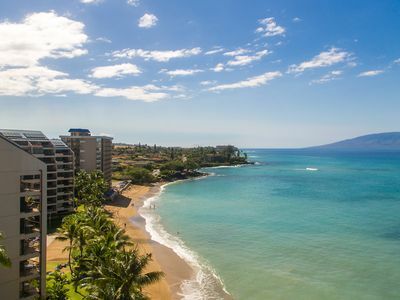 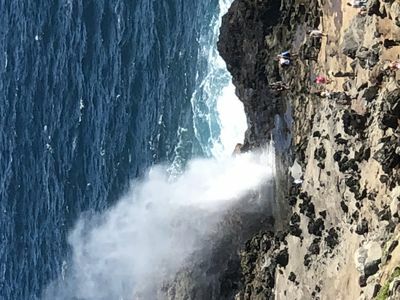 You’ll discover one of Maui’s most spectacular views from your own oceanfront lanai listening to the soothing ocean waves, getting a glimpse of the humpback whales in season or marvelling at a gorgeous starry night. 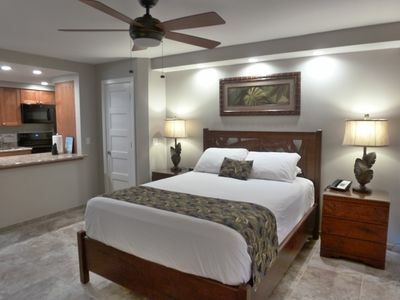 The spacious north-facing lanai, fully-equipped kitchen, cable TV, ceiling fans, telephone with voicemail and free local calls, free hard wired internet and WiFi, complimentary poolside morning coffee, and sleeping accommodations for up to four people provide you with a comfortable, convenient residence that you can call your own. 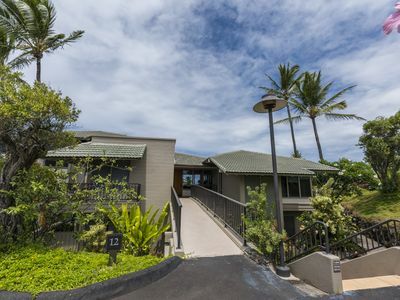 You’ll also discover the resort’s many luxurious amenities such as the two free-form swimming pools, jacuzzi, gas-fired BBQ grills and picnic area, and restaurants. 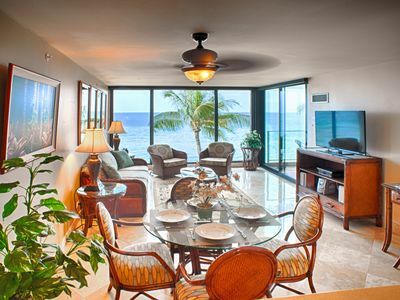 Direct beach access from Condo A-106 lets you wander down to the Pacific for snorkeling, swimming, sea turtle sightings, sun tanning and magnificent sunsets. 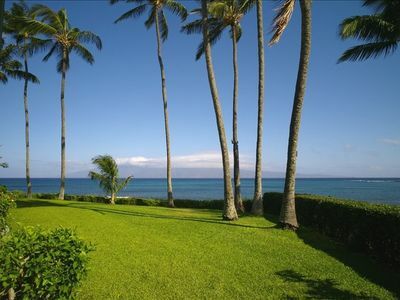 On-site croquet, shuffleboard, and giant checkers will also entertain the kids (and the kid in all of us). 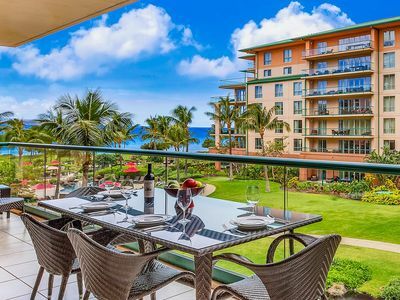 The Kapalua championship golf-course and tennis courts are within walking distance, and just a 15 minute drive away is the town of Lahaina offering many more restaurants, shops and activities. 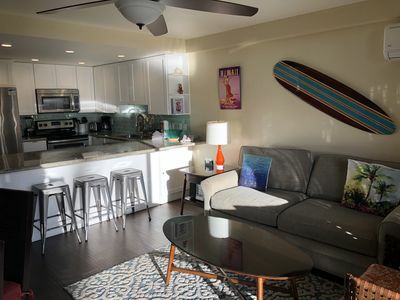 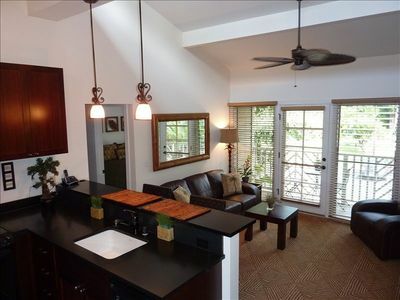 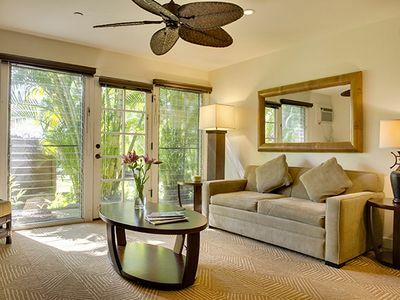 Your stay at Napili Shores A-106 will allow you to discover all the magic and adventure that Maui has to offer while letting you enjoy the privacy, convenience and comforts of a fully-furnished home. 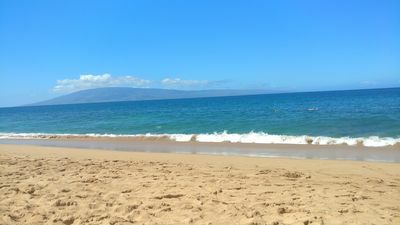 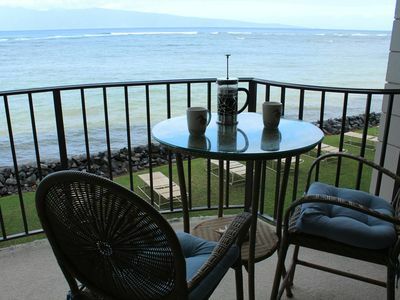 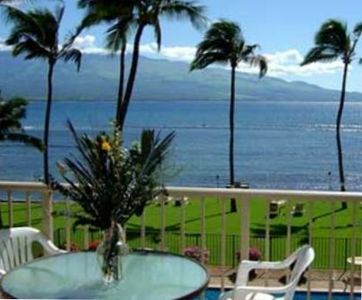 Napili Shores is a convenient and scenic 35 mile drive from the Kahului Airport or two mile drive from the Kapalua West Maui Airport.